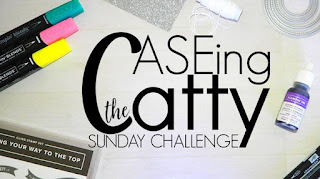 Hello and Welcome to another awesome amazing Sunday Night Blog Hop Caseing the Catty Challenge. 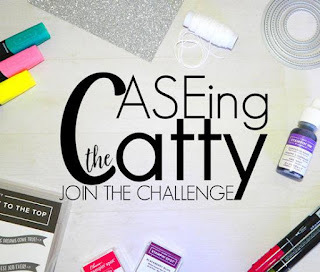 CASEing is all about Copy And Share Everything or Copy And Selectively Edit - using the Stampin' Up! catalogues which are packed full of amazingness. 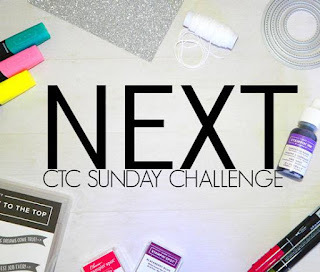 The brilliance of our challenge is that every week, there are amazing projects from the design team inspired by the catalogue showing off lots of amazing ideas and techniques that I had never noticed!!! This week we are sharing inspiration from the How Sweet it is chapter - pages 14-23. 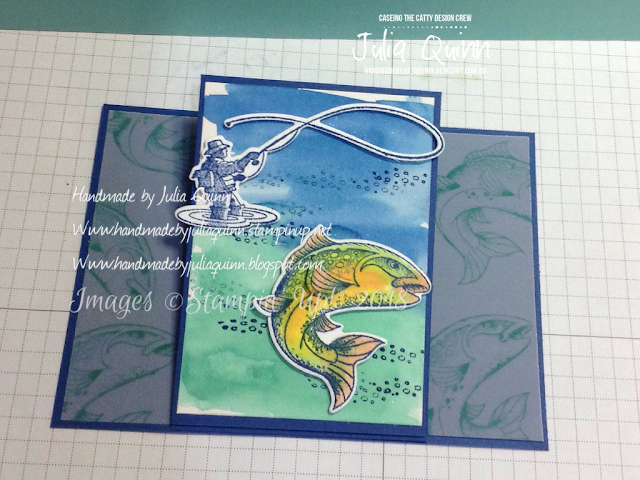 Those pages include this totally wonderful Project kit - Incredible Like You which has GORGEOUS laser cut overlays over stunning water coloured backgrounds. I've used the top right card and the gradual wash from dark to light in the background as my starting point. My card journey then took me a looong way from the original!!! I've used Blueberry Bushel and Coastal Cabana for my watercolour wash and tried to copy the idea on the Project card with the brush strokes. I then stamped the bubbles over the top of the wash to help hide the not-so-good bits of the watercolour wash!!! 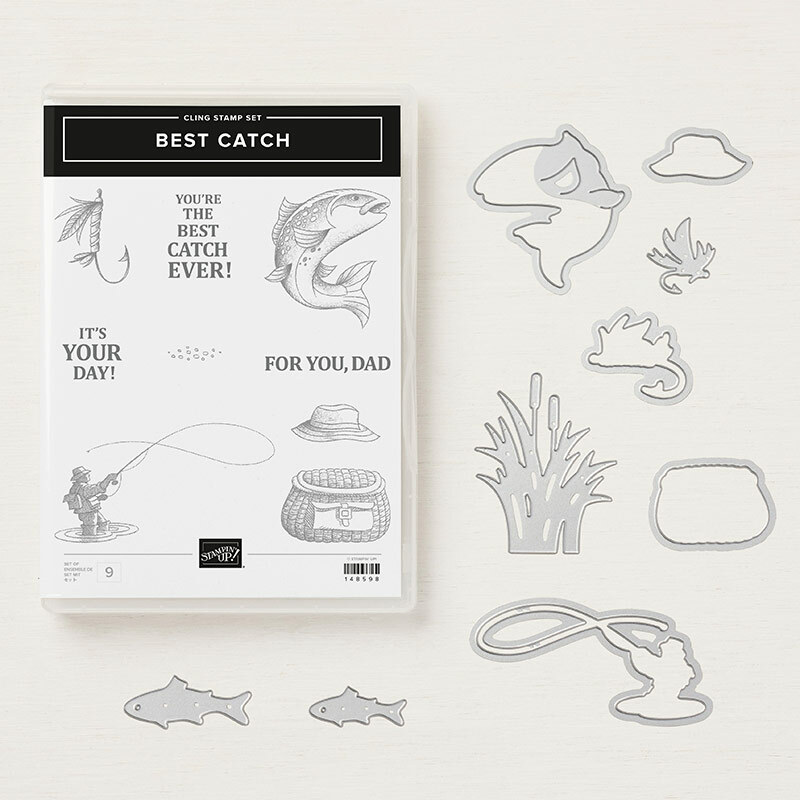 I love these images in this stamp set Best Catch and the coordinating Catch of the Day framelits really made this card a breeze to put together. This is a centre easel card inspired by the amazing Bronwyn Eastley who creates some impressive cards featuring fabulous folds. I've coloured my feature fish (I think its a trout?) 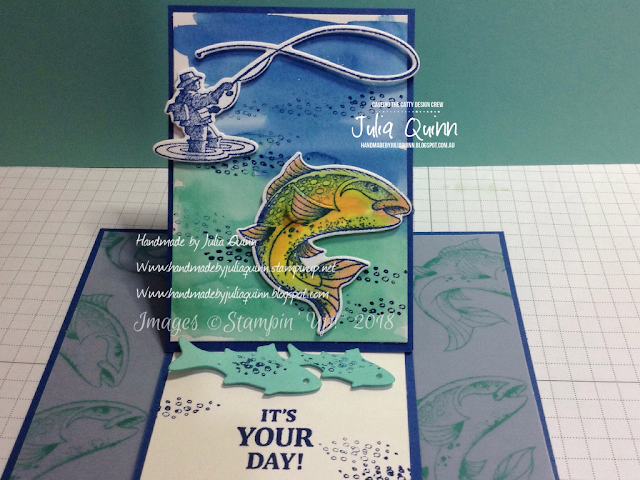 using Stampin' Blends and also stamped the same fish using Coastal Cabana on vellum for the base of the card. My feature panel uses Shimmery White cardstock which is more forgiving when you're using watercolour techniques. I hope you've been inspired to have a go with the great water colour wash technique! Up next is the amazing and inspirational Kelly. We love to see your projects inspired by the catalogues too!! Check out this sweet chapter and then please add your project to the lineup on our facebook challenge page. Wow your card is amazing!! Love the water colouring on the background. 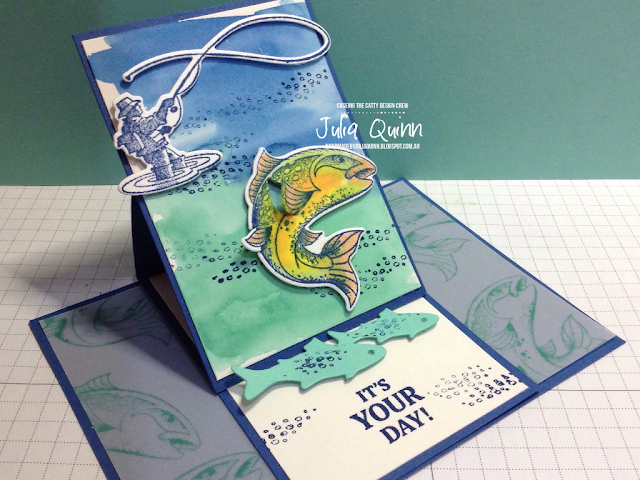 Your card is fabulous, Julia and I love the background wash. Those colours are perfect and I love how you've coloured the fish too. i recognise that fold!! Perfect for this great masculine card Julia. 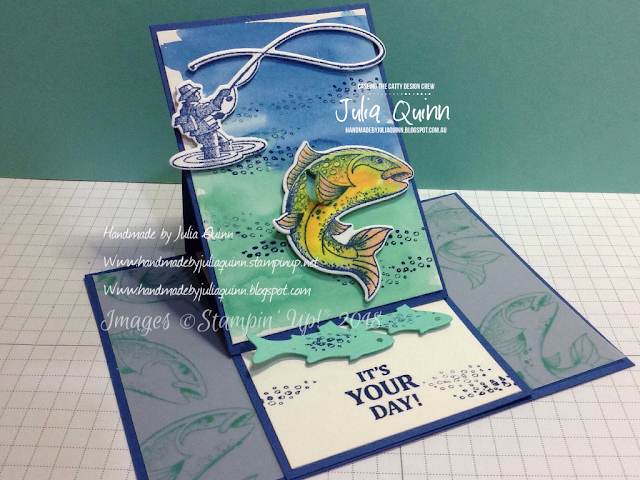 Love your watercolour wash and the fish as the easel backstop. Thankyou Liz! Finally used it! Your background wash is amazing - I certainly didn't notice any dodgy bits! I love the look of the centre easel card, so I will have to try it. Thankyou Tina. Yes, it's a really fun card fold!